Sandeep Tyagi is the Chairman of Estee Advisors. He is responsible for setting the firm’s direction, sustaining a winning culture and developing profitable investment strategies. Prior to Estee Advisors, Mr. Tyagi was the CEO of Inductis, a consulting and analytics outsourcing firm that he founded in 2000. The firm served several of the largest financial services companies of the world including asset management, credit card, insurance and lending companies in the areas of investment optimization, target marketing and risk management. In July 2006, Inductis was merged with EXL Service, a NASDAQ listed public company. Prior to founding Inductis, he was a partner at the Mitchell Madison Group (MMG), an eminent global strategy consulting firm, where he led the Analytics and Ecommerce Practice area. Mr. Tyagi is a board member of the Indian Institute of Technology, Delhi Excellence Foundation and a Charter Member of TiE. He is also a board member of the Young Presidents Organization (YPO), Delhi Chapter. He has received numerous awards including 40 under 40 for New Jersey and the Distinguished Alumni Service Award from IIT Delhi. Mr. Tyagi holds an MBA from Columbia Business School and a B-Tech in Computer Science from IIT, Delhi. He also holds a Certificate in Quantitative Finance (CQF). He lives in New Jersey with his wife and two children. He has a B-Tech degree from IIT Delhi in 1971 & MBA degree from University of Chicago in 1976. Rakesh is a Senior Advisor to the Carlyle Group for Consumer and Retail. He serves on the Board of Oriental Trading Company and serves as a Senior Advisor to Life Line Screening Company. He is Chairman of Spherenomics LLC which since 2001 has focused on Indo US cross border business opportunities in a principal capacity. Rakesh has served as CEO of several multibillion dollar consumer companies. Within Financial Services, he was the Vice Chairman of Fingerhut companies and founded Metris Credit Card Company. He has a BE, SJCE degree from Mysore, & MBA XLRI degree. Murli is currently the Founder and CMD of Moonbeam Capital, a boutique Advisory & Investment Firm. Murli till recently served as the President and Chief Executive of Financial Services vertical at Reliance Retail Ltd. Prior to joining Reliance in 2006, Murli worked for American Express as the Country Manager for India. Murli was Vice President and Head of Investment Products at Citibank-India. He has a CA degree. Umesh Kumar is responsible for Finance, Compliance and Operations. He serves on the board of Estee as the Executive Director primarily responsible for compliance oversight. He has rich experience in running operations at several brokerage houses including Agroy, Wegmans, Angel and RK group of companies. 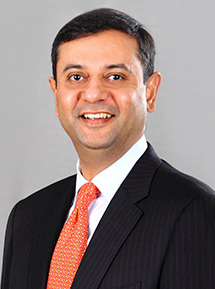 Vijay served as the COO, Temasek, Singapore, from 2005 to 2009. Prior to Temasek, Vijay was the President of American Express International overseeing the American Express businesses around the world (excluding US). He was previously the Chief Risk Officer for American Express. Managing Director of Dorchester Advisors, a private wealth management company providing investment management solutions for institutions and HNI’s. His experience of developing investment solutions spans 20 years. Prior to Dorchester, he was the MD at Tocqueville Asset Management and at Merrill Lynch Investment Managers. He has also served in senior positions in KPMG, Gruntal& Co, PNC Financial, and Hay Group's. He has a Ph.D. & M.A. degree in Economics from the University of Houston. He is currently the CIO of Mackenzie Investments. Prior to this, he was the CEO at Madison Square Investors, NY. He was responsible for setting investment strategy and building new investment management expertise. Immediately prior to joining Madison Square Investors in 2004, Tony was Managing Director and Senior Portfolio Manager of the Large Cap Growth team of Putnam Investments in Boston, MA, managing more than $25 billion in assets. Tony has also worked in senior positions at Voyageur Asset Management, TES Partners and Piper Capital Management. Rohit Kapoor co-founded EXL Inc. in April 1999 and has served as President and Chief Executive Officer since May 2008 and as a director since November 2002. Mr. Kapoor served as Chief Financial Officer from November 2002 until June 2005 and from August 2006 to March 2007, as Chief Operating Officer from June 2007 until April 2008 and as President and Chief Financial Officer of EXL Inc. since August 2000. Prior to founding EXL Inc., Mr. Kapoor served as a business head of Deutsche Bank from July 1999 to July 2000. From 1991 to 2000, Mr. Kapoor served in various capacities at Bank of America in the United States and Asia, including India. He has a MBA degree from MIT’s Sloan School of Management, and B.Tech degree in Mechanical Engineering from Rensselaer Polytechnic Institute & CPA in New York State. Michael has had a 40+ year career in financial services. Currently he serves as Director and Chairman of the Audit Committee of BATS Global Markets Inc, a major operator of stock exchanges in the U.S. and Europe. He also is a member of the Advisory Board to the Financial Engineering & Risk Analysis Program at the Lally School of Management at Rensselaer Polytechnic Institute. He was Co-founder, CFO and Chief Compliance Officer of Lime Brokerage, which provided low latency access for high frequency traders, and served as CFO of Tower Research Capital, a global proprietary trading firm. He negotiated the sale of Lime to Wedbush in 2011. Michael held executive financial and operational roles at Citibank, Lehman Brothers, E.F.Hutton and American Express. He started his career as a consultant for Arthur Anderson.